For its final lookbook of the 2018 year, Eastbay – which is under the Foot Locker umbrella, decided to feature five of the W’s premier players for said December issue. 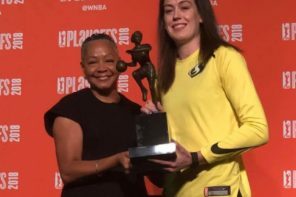 Three of those hail from the Seattle Storm as Eastbay’s December lookbook includes the Emerald City’s big three of reigning regular season and Finals MVP Breanna Stewart along with Sue Bird and Jewell Loyd. 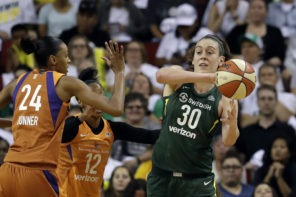 Also on the cover are the Washington Mystics’ Elena Delle Donne and the Phoenix Mercury’s Diana Taurasi. So excited to reveal what I’ve been working on with @Eastbay. 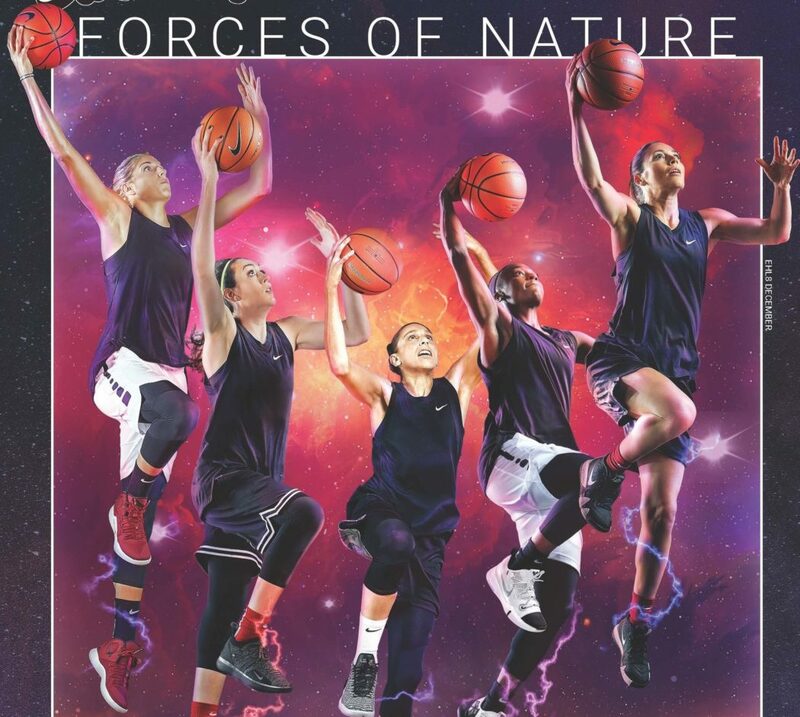 The Forces of Nature campaign will also include digital videos from Stewart, Loyd, Bird, Taurasi, and Delle Donne. We are constantly trying to offer our customers – both female and male – the best on-court style. We had a lot of fun highlighting these women who conquer the court in Nike sneakers that are traditionally thought of as men’s silhouettes. Each also wore a different Nike style of kicks for the Eastbay cover. Loyd sported the Nike Kobe AD, Bird wore the Kyrie 4’s, Delle Donne donned the Hyperdunks, Taurasi had the LeBron 16s on and Stewart had the KD 11. I’m just a huge fan and a subscriber to look good, feel good, play good. Whenever I put on the Kyries, that’s how I feel. I think LeBron’s shoes always symbolized the way he plays, going downhill, very powerful. Those are things I try to bring to the court too, so it’s kind of mirrored the way I play. I think the KD 11s fit me because KD’s style of play is similar to mine. It’s a comfortable shoe, very compact, light, and I think it’s his best one yet. The whole concept of the lower-cut shoe, how it completely grips your foot giving you complete control. The pattern on the bottom, the way you cut and shoot, it feels like the shoe is part of your foot. I definitely look for it to fit like a glove. I want it to be light, and then grip. It’s super important.